BELLVILLE — St. Paul Lutheran Church, 48 Church St., is sponsoring a Red Cross blood drive Tuesday, Dec. 11 from noon to 6 p.m. In addition to regular blood donations, donors may choose to make “Power Red” donations and may do “Rapid Pass” in advance by logging on to redcrossblood.org. To schedule an appointment, please phone Nancy Martin at 419-571-6315 or go online to schedule for yourself. For this drive, the Red Cross is offering an incentive of an Amazon $5 gift card to all donors with an email address. 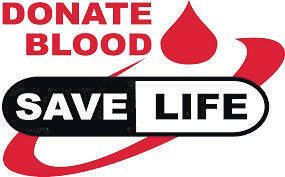 Especially nearing holiday time, there is an urgent need for blood donations. Please take your time to give this gift.